towers contribute to about 35-45% of the total cost of a transmission line. 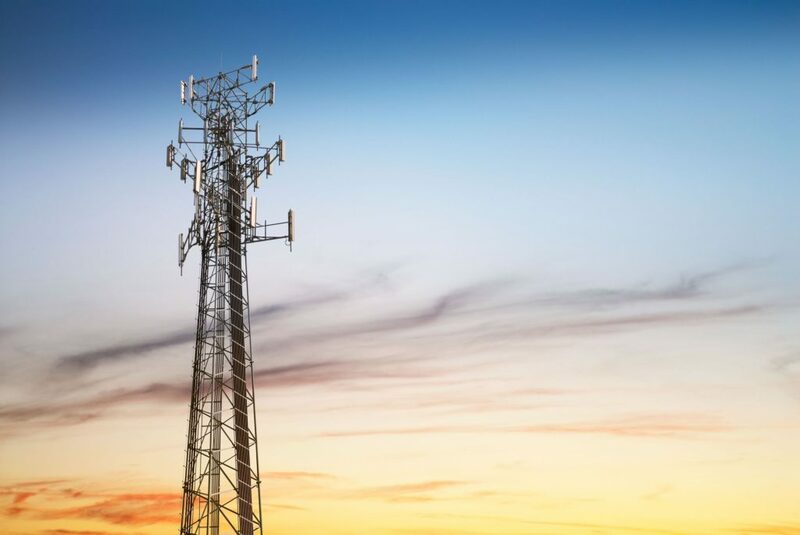 Hence optimisation of tower design can therefore result in substantial economy. Great responsibility thus rests on the design engineer who has to prepare not only economical, but also safe and reliable design. Structurally the tower should be adequate to resist loads such as wind load, snow load and self-weight. Transmission line towers are generally specified by voltage, number of circuits and type. Thus, these parameters become the basic parameters, which govern structural design of the tower. The voltage classification of transmission line towers is according to the voltage of the line it carries. 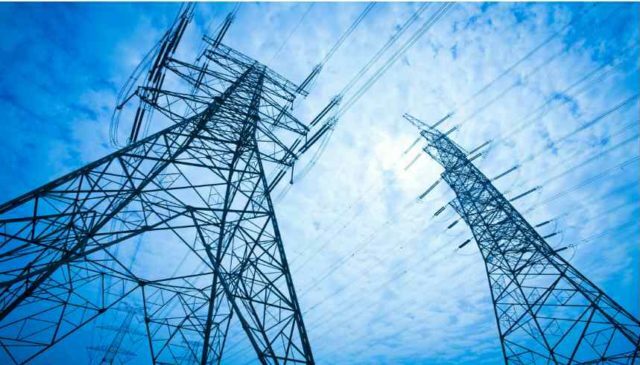 The common voltages used in India for power transmission are 110 kV, 220/230 kV and 440 kV. The configurations adopted are generally rectangular and square types. The square type broad based towers are the most commonly used. The number of circuits the tower can carry is either single, double or multi circuit. The number of earth wires, right of way, etc. also affect the configuration of the tower. 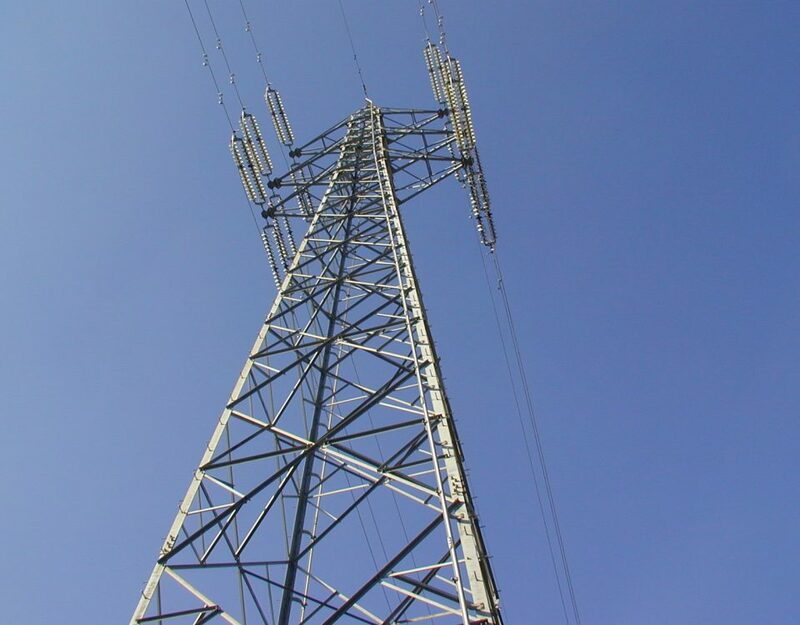 Along the transmission line route, depending upon the profile along the centre line of the transmission line, towers are classified into three categories such as tangent tower, angle tower and dead end tower. 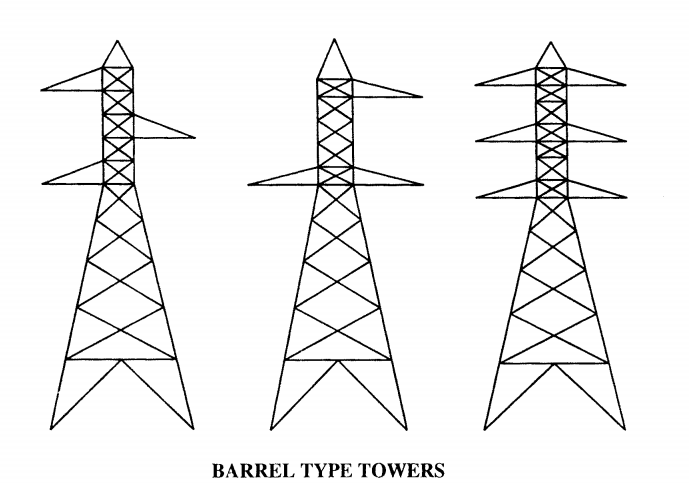 Further, transmission line towers are also classified according to their shape as Barrel, Corset and Guyed towers. The Barrel type towers are considered in this study for optimisation as the generation and geometrical data are modular based. 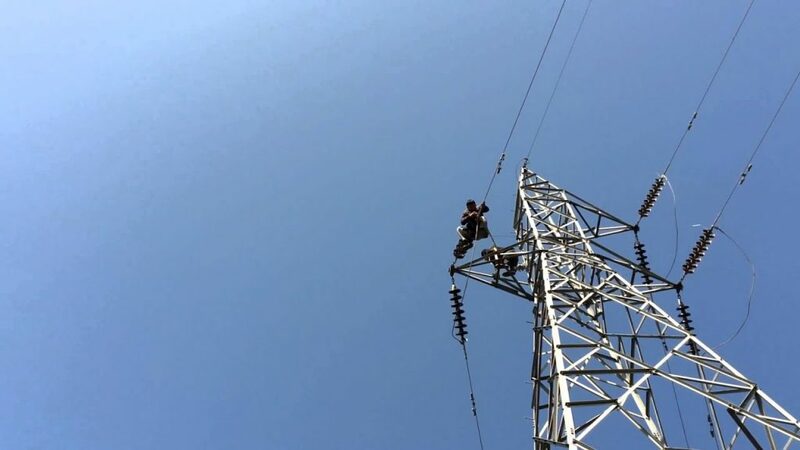 The functional requirements such as minimum ground clearance, and clearance between conductor and tower body, are governed by the electrical regulations and they mainly depend on the voltage carried by the conductor. The number of circuits decides the number of cross arms on the tower. 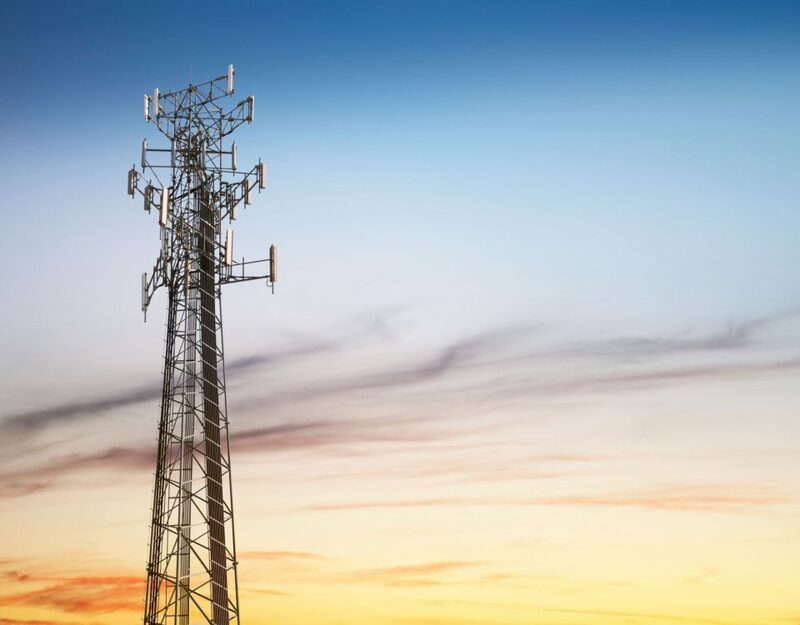 Parameters such as number of cross arms, vertical spacing between cross arms, height of ground-wire peak, minimum ground clearance, maximum sag and other clearances decide the overall height of the tower. The staging of transmission line tower should be high enough to provide minimum ground clearance under maximum sag condition. 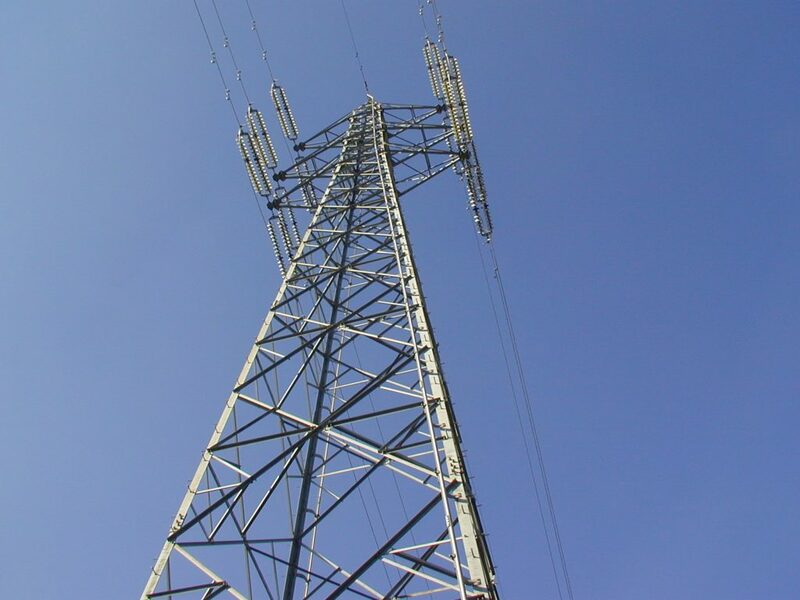 As transmission line towers have components such as a number of cross arms and ground-wire peaks, the staging below the bottom cross arm is more useful for optimisation than the portion above. Figure 4.2. 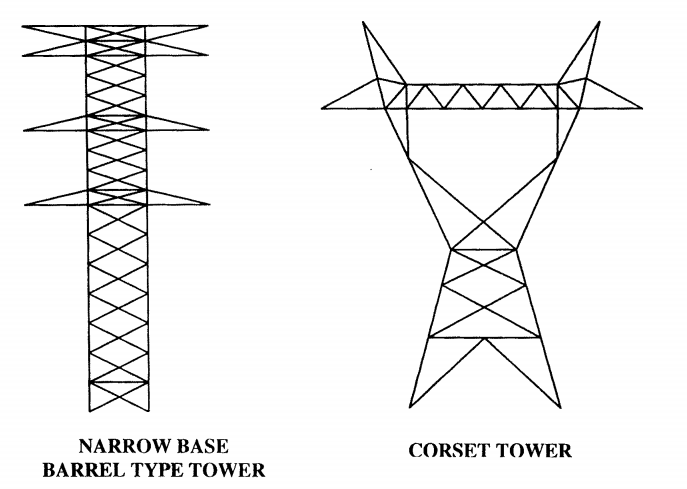 Approximate structural behaviour of the tower or conventional practice is taken as the basis for fixing these parameters of the tower. Sag tension and clearances also play an important role in deciding the configuration. For optimisation of transmission line towers, it is important to know various design parameters that control the design of the tower. 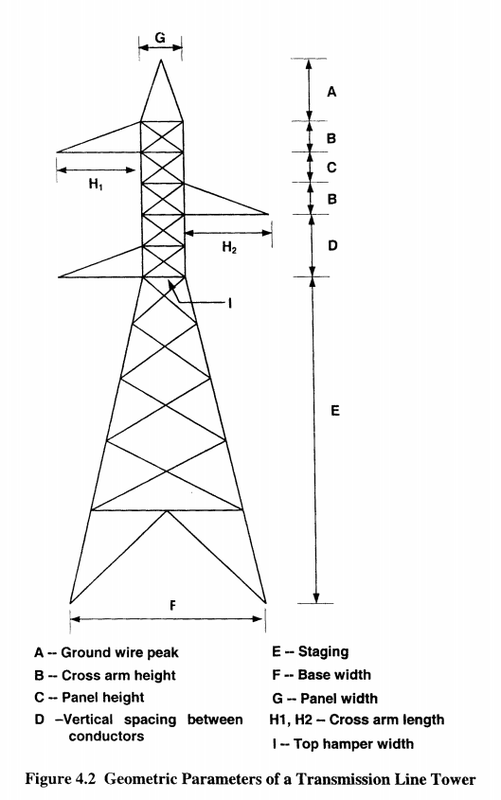 Some of the parameters that dictate the configuration of the transmission line towers are briefly described below:Tower Height: The height of the tower is determined by parameters such as number of cross arms, vertical spacing between cross arms, height of ground-wire peak, minimum ground clearance, maximum sag and other clearances. The cost of the tower increases with the height of the tower. 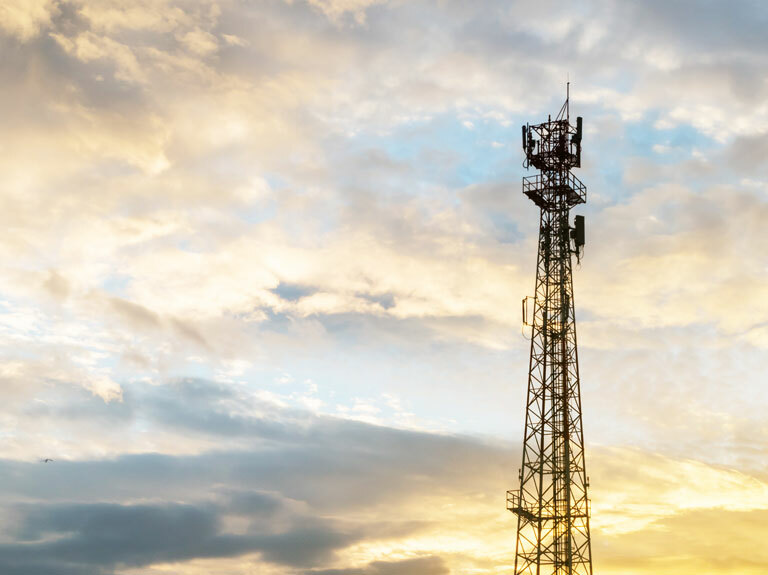 Hence, it is desirable to keep the tower height minimum to the extent possible without sacrificing the structural safety and functional requirement such as ground clearance and electrical clearance. Sag: The conductor wires and ground-wires sag due to self-weight. The size and type of the conductor, wind and climatic conditions of the region and span length determine the conductor’s sag and tension. Span length is fixed from economic considerations. The maximum sag occurs at the maximum temperature and still wind conditions. Sagging of the conductor cables is considered in determining the height of the tower. It is essential to have minimum clearance between the bottom-most conductor and the ground, at the point where the sag is maximum. Sag tension is the force on the conductor, which in turn is transferred to the tower. Sag tension is maximum at the time of maximum temperature and when wind is at maximum. Loads such as self­ weight and snow load on the conductors contribute to the sag tension. Spacing between the towers, ground level difference between tower locations, the mechanical properties of the conductors and ground-wires decide the sag distance and sag tension in the cables. The conductors assume catenary profile and the sag is calculated based on parabolic formulae or procedure given in codes of practices. added to the minimum ground clearance to get the staging height of the tower, i.e. the vertical distance from the ground level to the bottom of the lowest cross arm. 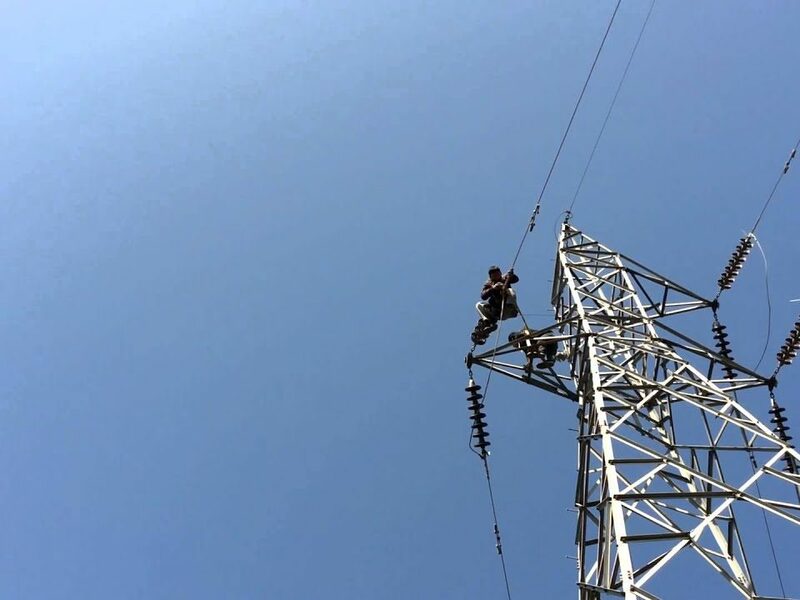 Ground-wire peak: Ground-wire peaks are provided to support the ground-wires, which shield the tower from lightning and provide earthing to the tower. The height of the ground-wire peak is chosen in such a way that the cross arm falls within the shield angle. The bottom width of the ground-wire peak is assumed equal to the top hamper width and is normally 0.75m to lm. Cross-arm spacing: Cross arms are provided to support the transmission line power conductors. The number of circuits carried by the tower determines the number of cross arms. In general three cross arms for single circuit towers and six cross arms for double circuit towers are required. The vertical spacing between the cross arms must satisfy the minimum clearance between circuit lines and other electrical requirements. 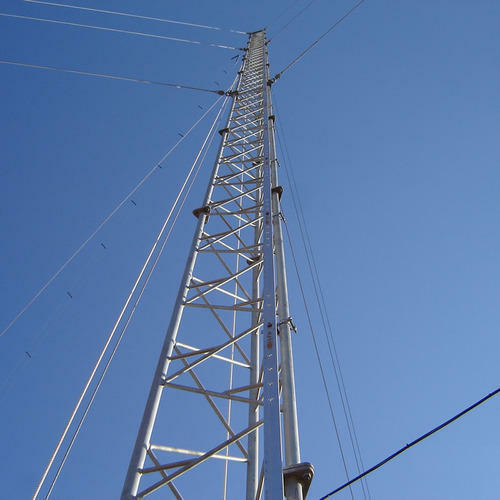 The minimum horizontal clearance required between the conductors and the tower steel is based on the swing conditions, and it determines the length of the cross arm. 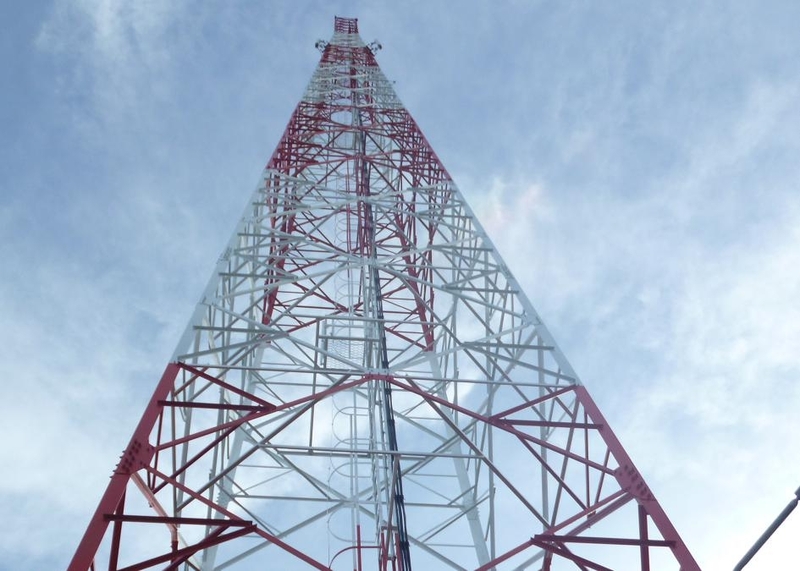 The depth of the cross arm is assumed in general such that the angle at the tip of the arm is in the range of 15 to 20 degrees.Base Width: The base width of the tower is determined heuristically. lower cross-arm level. The top hamper width is also determined heuristically and is generally about one third of the base width. Other parameters like horizontal spacing between conductors and slope of the leg may also be considered while determining the top hamper width.